I always judge a book by it's cover. It's the first thing I see, the first thing that makes me pick up a book. The soft pastels of the cover, highlighted with the drawing of a clearly angry boy in a bright red shirt upside down on his ceiling caught my attention and I automatically added the book to the pile. Jenni Desmond's illustrations have that scratchy, childlike quality, balanced with adult expertise, that I'm always drawn too. Inside, the story's font is accompanied by handwritten words reminiscent of a second grader. Aimed at ages three to six, this is a simple, cute story about the frustrations of siblings. 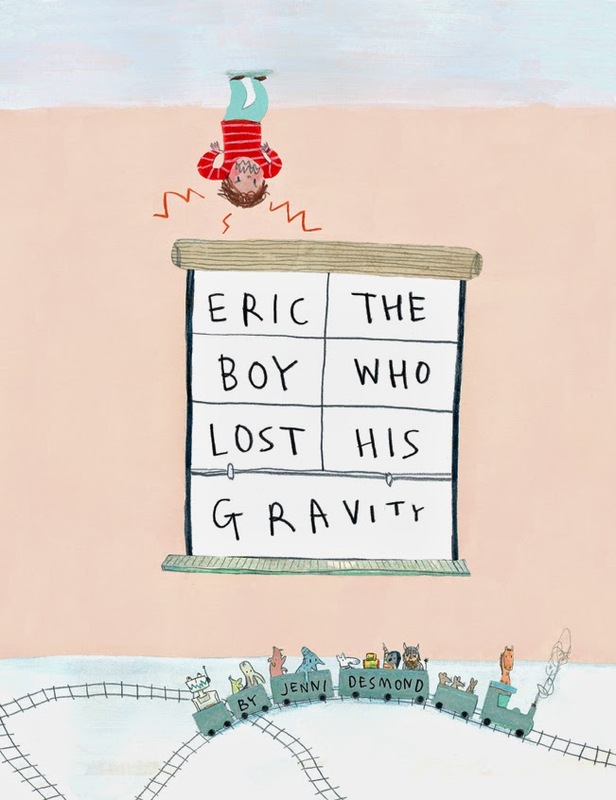 I think the idea of Eric loosing his gravity, (instead of his temper,) is a creative and fun twist. But the story does not go beyond it's simpleness. The author makes little use of complex, interesting words, and instead has chosen to write at the level of her audience. With an average of one sentence per page, and the sentences are short, and there are few opportunities to build vocabulary skills, practice listening, or challenge the young mind. 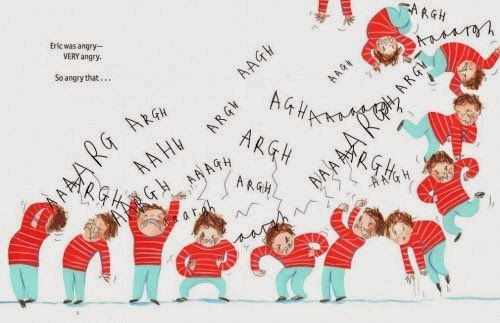 As much as I like the added handwritten words highlighting the drawings, as an adult reading out loud, they add a clumsiness to the flow that could be frustrating to parents who find reading aloud a challenge. This story is cute. Parents of siblings may want to buy a copy, but, to be honest, there are better stories about siblings out there that make for better bed time reading. Sounds like a great read, with book week happening for us next month - I must get it!